Injured in an Automobile Accident? Call 1-800-ATTORNEY for a Free Consultation! A car accident can be a traumatic experience. Along with the personal injuries you might sustain, you may also have to contend with other issues such as incurred costs due to treatment as well as how to go about seeking compensation from the perpetrator of the accident. By picking a good car accident attorney, you’ll be able to get the compensation and treatment that you need to bounce back and continue with life as usual. While the National Highway Traffic Safety Administration attributes speeding to be the cause of most accidents on American roads, here are a few additional factors that contribute to auto accidents. Distracted Driving – This is a common problem due to the increasing use of cell phones while driving. Other things such as eating, watching movies and listening to music can also contribute to distracted driving. While driving, it’s important to make sure that your attention is firmly fixed on the road ahead of and around you; this will enable you to react in a timely manner in case of any potential road problems. Drunk Driving – This is one of the most dangerous behaviors that is prevalent on American roads. Despite the numerous awareness campaigns, many people still don’t think twice when it comes to getting behind the wheel while intoxicated. MADD (Mothers Against Drunk Driving) estimates that about 300,000 DWI accidents occur daily due to alcohol intoxication. Unsafe Lane Changes – Many people hardly pay attention while on the freeway, goaded by the illusion of freedom and open space. As a result, numerous accidents happen during lane changes. Most lane change accidents occur because drivers do not adequately check their mirrors for blind spots or use their turn signals. Whiplash – This is one of the most common injuries and usually occurs due to a rear-end collision. It usually affects the muscles, nerves and ligaments which essentially makes it a “soft tissue injury.” A whiplash injury usually affects the neck, back and spine. Common symptoms include shoulder pain, neck and back pain as well as pins and needles in the legs and arms. Traumatic Brain Injury – This kind of injury is usually due to side impact or rollover car accidents. Given its severity, this kind of trauma can be life-threatening if not treated in a timely manner. Additionally, it’s not uncommon to have cognitive, physical and emotional problems after a traumatic brain injury. Other conditions associated with this injury include skull fractures, hematomas and swelling of the brain. Back Injuries– Because of the jarring nature of your typical car accident, the vertebral column if often affected. This usually leads to herniated discs, fractured vertebrae, sprains and strains. These injuries need long-term treatment and it may even be necessary for you to go on bed rest until you’re healed. Upper Body Injuries -These usually involve some kind of fracture affecting the hands, wrists, fingers, shoulders, sternum or collarbone. You may need surgery, a cast or splint for these kinds of injuries. At the same time, bone trauma may cause muscle and nerve problems. Internal Injuries -These are usually not immediately apparent immediately after the accident, which is why it’s very important to go to the ER after an accident. Injuries of this nature usually affect organs as the heart, spleen, liver, kidneys, lungs and intestines. A broken rib may puncture a lung or other organ leading to massive internal bleeding and death if not dealt with immediately. The minutes after an accident are crucial if you want to ensure that you get the justice and compensation that you deserve. After calling the EMS, please make sure to take down the details of witnesses as well as the other driver(s) involved in the accident. This will help you build a solid case, heightening your chances of getting the legal reprieve that you deserve. It’s also important to track your expenses since this will help you get the maximum amount of compensation that you need to seek treatment and rehabilitation if needed. Any other extra expenditure you might have incurred due to the accident. 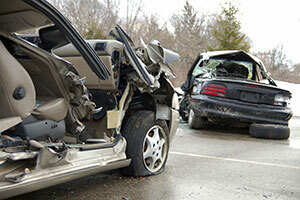 Insurance companies are notorious when it comes to minimizing the value of a car accident claim. If an insurance company contacts you after your accident, do not admit to anything, and don’t sign any papers. Sometimes, they may even try to offer you a lump sum amount to dissuade you from going to court. While this may seem like an attractive offer, please resist the temptation to take it. In 99 out of 100 cases, you’ll get a much higher amount if you have your lawyer follow through with a claim or lawsuit. Contact an experienced car accident attorney immediately after your accident so that you’re able to protect yourself from the dishonest and underhanded tactics employed by insurance companies. Please be aware that there exists a “statute of limitations” when it comes to injuries sustained in a car accident. This simply means that you have a limited amount of time to bring your case before a court (usually 2-3 years, depending on the state). After this time has elapsed, you are unable to bring a claim or recover any form of compensation. Of course, waiting even a few weeks or months can severely damage your case. You need to hire on an attorney as soon as you’re able to do so, and the attorneys at 1-800-ATTORNEY charge you nothing out of pocket. We ONLY get paid if we win your case.